The non-destructive evaluation of civil engineering structures in reinforced concrete is becoming an increasingly important issue in this field of engineering. 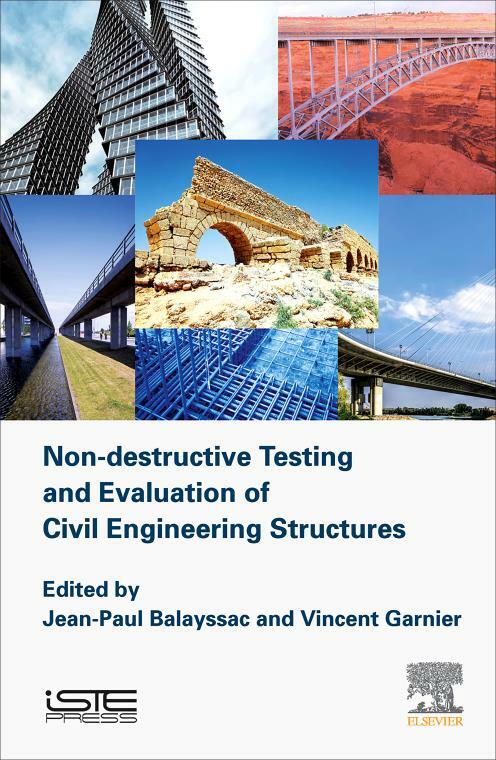 This book proposes innovative ways to deal with this problem, through the characterization of concrete durability indicators by the use of non-destructive techniques. It presents the description of the various non-destructive techniques and their combination for the evaluation of indicators. The processing of data issued from the combination of NDE methods is also illustrated through examples of data fusion methods. The identification of conversion models linking observables, obtained from non-destructive measurements, to concrete durability indicators, as well as the consideration of different sources of variability in the assessment process, are also described. An analysis of in situ applications is carried out in order to highlight the practical aspects of the methodology. At the end of the book the authors provide a methodological guide detailing the proposed non-destructive evaluation methodology of concrete indicators. Jean-Paul Balayssac is Professor at IUT Paul Sabatier and LMDC Toulouse (France) in the field of non-destructive evaluation of concrete structures. He has coordinated national projects (ANR) and participates in international actions (COST, RILEM). Vincent Garnier is Professor at IUT (Aix Marseille University) and at LMA (CNRS) in the field of ultrasound and data fusion. It coordinates national projects (PIA) and a working group of COFREND on Non-Destructive Evaluations applied to civil engineering.